What Kind of Foods Should You Avoid During Renal Cancer? 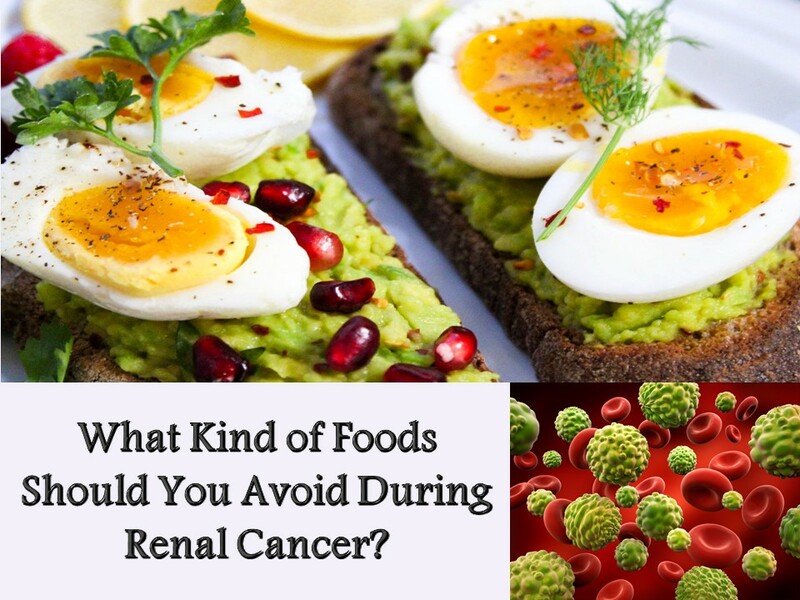 Home / Health & Beauty Tips / What Kind of Foods Should You Avoid During Renal Cancer? Renal cancer, also called kidney cancer, is a disease in which the kidney cells become cancerous or malignant and grow into a tumor. There is no standard diet plan to follow for patients. The diet for people afflicted with kidney cancer is also dependent on other medical conditions, such as diabetes, heart disease, or chronic kidney disease. However, the “Eatwell plate” helps the patients to get a balanced diet. People undergoing renal cancer require a proper diet to help their bodies cope with radiation therapy, chemotherapy, and other medication. There are several stages of renal cancer. In fact, people suffering from any form of cancer are usually treated depending on which stage they are. Hence, a proper diagnosis is necessary. Elisa testing is advised to diagnose the disease. You can visit https://www.mybiosource.com/to better understand the method of this testing. While patients are advised to follow a balanced diet, information on what kinds of foods to avoid will be helpful. Protein is usually beneficial and is advised for maintaining your muscle strength and building cells. However, for kidney cancer patients, animal proteins are not advised. Consuming foods that are high in proteins, leads to the accumulation of uric acid in the form of toxin. This can further complicate renal cancer. Studies have shown that animal proteins are more harmful than plant protein for people suffering from this condition. Hence, foods, such as milk, cream, cheese, chicken, beef, pork, eggs, and other forms of meats should be avoided. Foods with high potassium adversely affect the kidney cancer. Potassium is required to control muscles and cardiovascular conditions. Extra doses of potassium can result in muscle weakness or heart problems. These will further complicate the medical conditions of renal cancer patients. The foods that contain excess potassium are peanut butter, chocolate, avocado, broccoli, dates, figs, honeydew, bananas, granola, milk, squash, apricots, and molasses. Yogurt, chocolate, milk, beans, and cheese are high in phosphorus and should be avoided during renal cancer. Consuming foods that are rich in phosphorus can affect your kidney and it will be unable to properly excrete the chemicals from your body. This will result in joint pain, weakness, and put stress on the kidneys further. Studies have shown that foods with high amounts of oxalate should be avoided by kidney cancer patients. So, what does oxalate do? This is a kind of chemical that can get lodged in your kidneys and form stones. Such a condition will definitely affect the cancer treatment. Foods, such as nuts, green leafy vegetables, spinach, beets, tofu, teat, and rhubarb should be avoided. Besides the foods mentioned above, the consumption and salt and water must be regulated. Usually, the doctors will advise regulating the intake of water. As for salt, foods like bread must be avoided. Also, direct consumption of salt is not advisable as well. For flavoring, herbs, such as rosemary, thyme, and lemon can be used. Cancer is often a painful experience for patients and food restrictions add to their woe. Look for recipes that can treat their taste buds better while avoiding the foods that are not advisable. Sweet treats in small doses are also advisable.